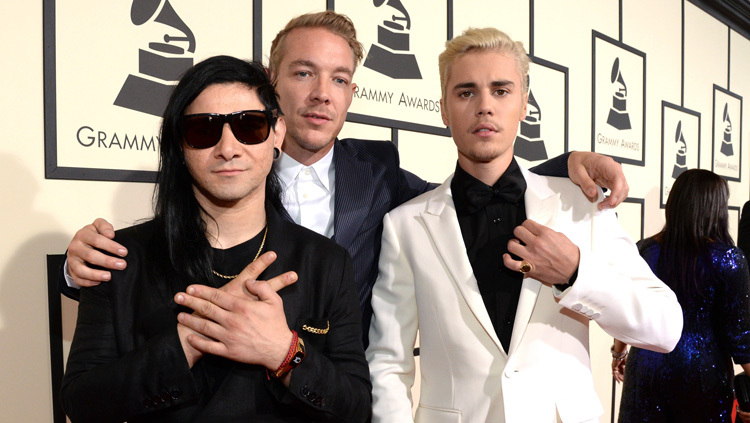 Skrillex, Diplo and Justin Bieber at The 58th GRAMMY Awards, 2016. Photo by Kevin Mazur/WireImage. 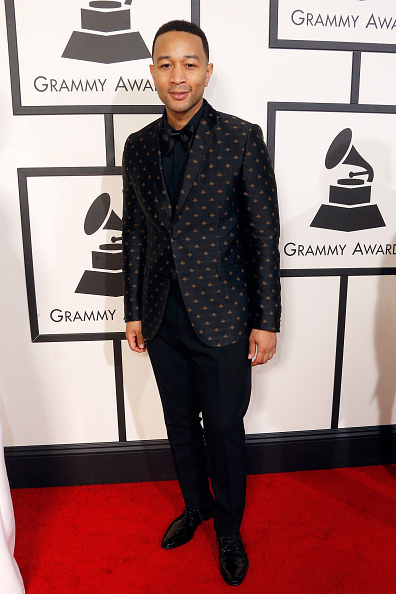 Understated elegance and refined designs reigned the red carpet of the The 58th Annual Grammy Awards. Both the ladies and the men forced fashion watchers to look a little closer at the polished details. The Grammy Awards fashion showcase, known for shocking hip hop looks and experimental fashion each year, kept it exceptionally muted and understated this year. Big name designers entered the arena with top notch styles in the race to drape hot musicians and singers. Old-world class was the dominant approach as menswear outfits wowed with demure colors, patterned fabrics and top-notch tailoring – Elton John and Lady Gaga’s flamboyant costuming not withstanding. Saint Laurent dominated, dressing musicians Justin Bieber (both his white dinner jacket and his leopard bomber jacket), Beck, Charlie Puth, Matt Sorum and members of Tame Impala in assorted versions of a skinny suit. Just on the heels of a successful menswear runway show in Los Angeles last week, Saint Laurent was quickly followed in prominence by the mega-brand Burberry, which dressed the likes of Ed Sheeran, James Bay, Dave Grohl and Mark Foster, all in a variety of electrifying tuxedos. Bruno Mars’ burgundy Versace popped, while Stevie Wonder had fun in army green with camo accents. Meanwhile, newcomer Sam Hunt melted hearts with an amazing pink suit by Dolce & Gabbana. The ladies also took part in the action as musician Zendaya stepped fiercely out in a menswear-inspired look, a custom-made double-breasted suit by DSquared2. Demi Lovato also walked in a midnight black gown by Norisol Ferrari, topped by a man’s tuxedo jacket. It looked like Zenaya and Pharrell did a crossover, with him in what appeared a woman’s jacket and she, wearing a menswear look. 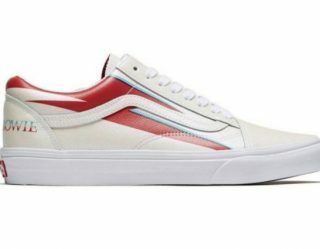 Most attendees avoided the costume and cliché looks, emphasizing the menswear trends of the day, which were reflected during New York Fashion Week, which wrapped up on Thursday.